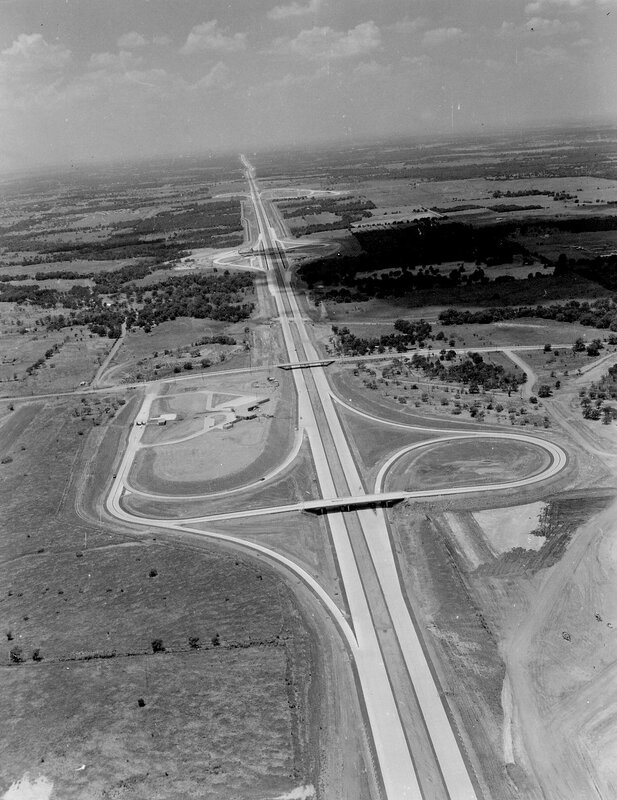 Above, the Dallas-Fort Worth turnpike in 1957, before it opened for business. 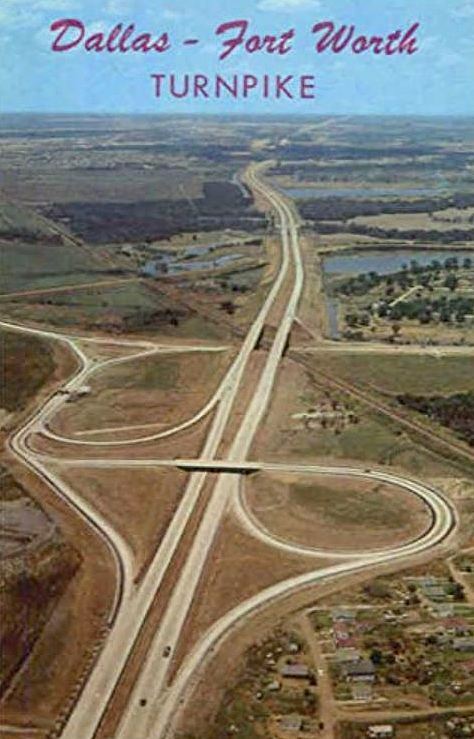 When this toll road was paid off in 1977, the toll booths were removed and it became I-30, a “free” highway. (This “toll-road-becoming-a-free-road” thing has happened only once in the history of Texas; I can’t imagine it will ever happen again.) This photo shows the turnpike heading west through Arlington, with Hwy. 360 crossing over it in the middle. 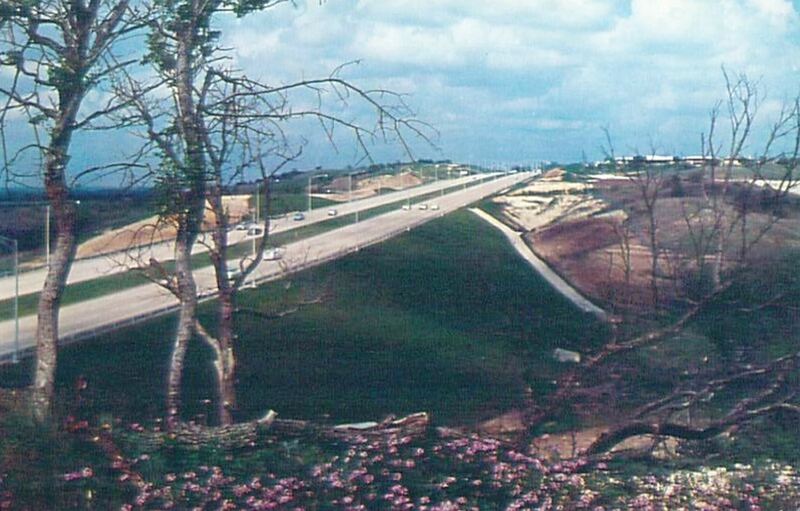 Six Flags over Texas would be built in this wide open expanse four years later. And then … an explosion of development. A Texas Highways article described the 30-mile stretch (“30 miles — 30 minutes!”) as being a blissful drive through “a landscape devoid of advertising signboards and commercial establishments” (!). In fact, the only businesses along the turnpike were two restaurants and two service stations. All the way from Dallas to Fort Worth … that was IT! You know, I’d gladly pay an obscenely exorbitant toll today if it meant I could drive that stretch of highway the way it was in this photo. A world without urban sprawl would be heaven. I love this photo. The road ahead just disappears into the ether. And, Arlington, you’ve never looked better. Postcards from around the internet. 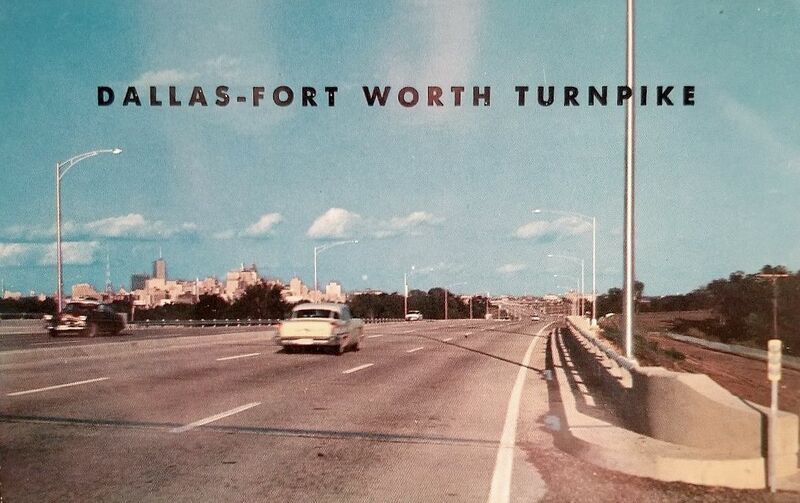 For an informative read and LOTS of photos, I highly recommend Oscar Slotboom’s chapter on the DFW Turnpike, which you can access here (there are tons of historical photos). 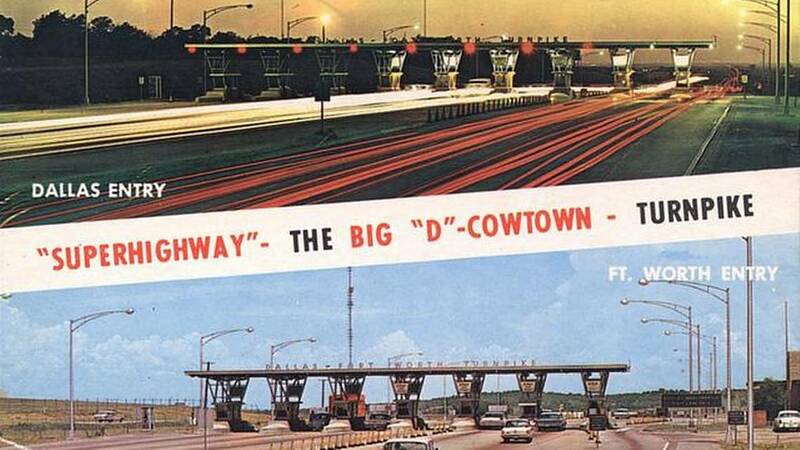 This chapter is from Slotboom’s exhaustive work Dallas-Fort Worth Freeways: Texas-Sized Ambition. The entire book has been made available online — for free (the home-page is here). You can read about Mr. Slotboom’s work in a Dallas Morning News interview by Robert Wilonsky here. 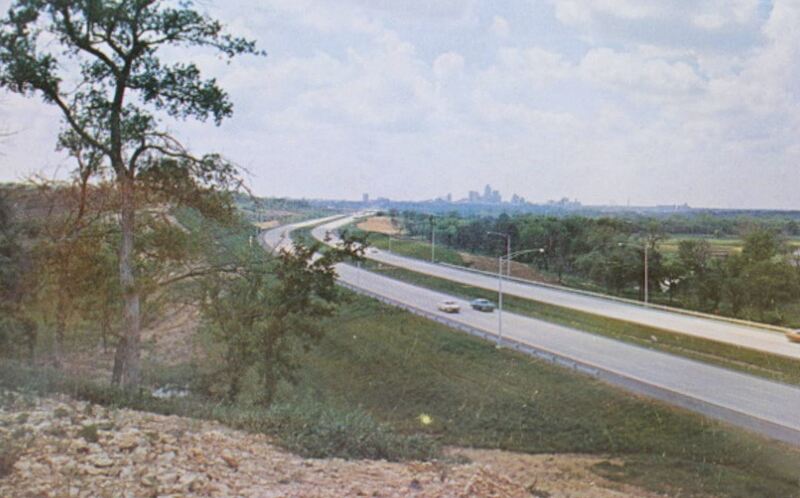 By the way, when the turnpike opened, the toll was 50 cents. According to the Inflation Calculator, that would be equivalent in today’s money to just over $4.00. To drive from Dallas to Fort Worth quickly, through not-yet-developed green spaces and along a new highway uncluttered with billboards. A BARGAIN!